Arrow Video have revealed their August line-up. Arrow Video's August roster offers an eclectic bunch of films, from slashers to sword and sandal epics. 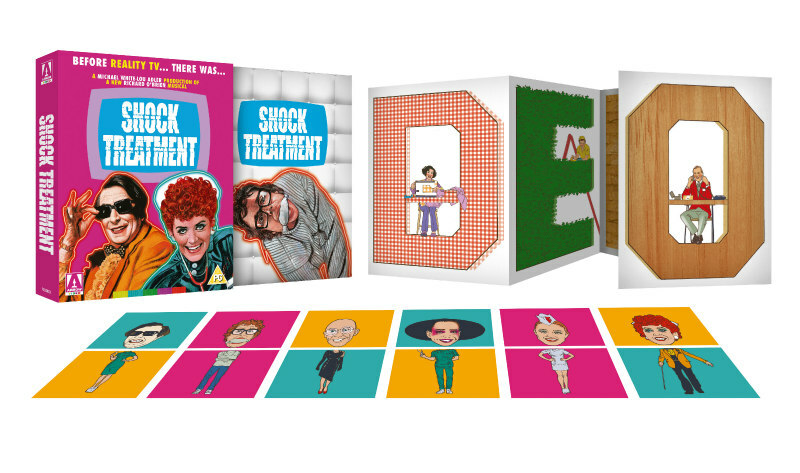 First up on August 7th is Rocky Horror Picture Show sequel Shock Treatment. Original stars Richard O’Brien and Patricia Quinn return for a movie that makes its worldwide blu-ray debut. Special features include featurettes, commentary by Shock Treatment Fan Club presidents "Mad Man" Mike and Bill Brennan, and a live panel filmed at the British Film Institute. Several years on from the events of the original Rocky, Brad and Janet Majors find their strained marriage put to the test on popular Denton TV show Marriage Maze. Poor Brad is heavily sedated and institutionalised, whilst Janet is given a radical makeover and primed for stardom. But what are the real motivations behind the kooky DTV crew and their enigmatic head-honcho, Farley Flavors? 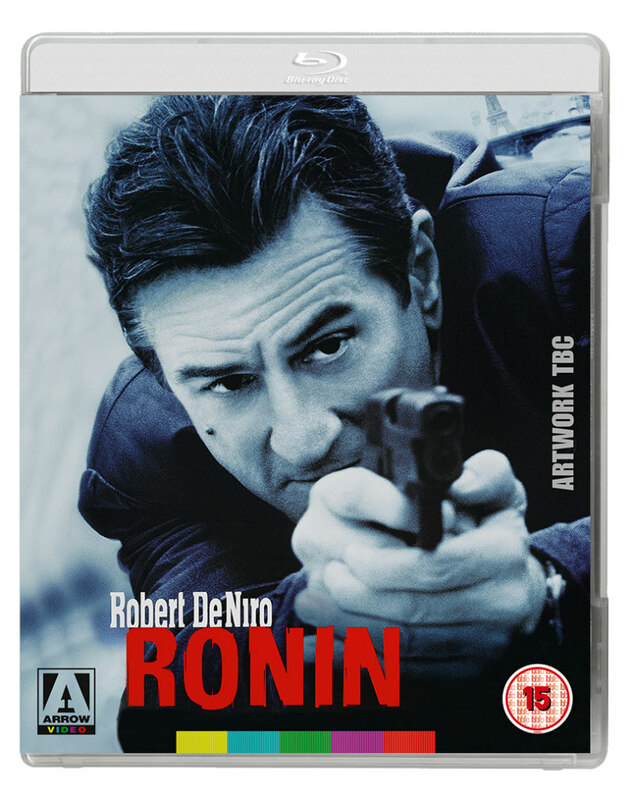 John Frankenheimer scored a late career hit with his '90s thriller Ronin, available August 14th. The film's much discussed car chase sequence is considered as one of the finest examples of the form. Special features include a commentary by Frankenheimer, a Robert De Niro documentary, and a featurette on the car stunts. On a rain-swept night in Paris, an international crack team of professional thieves assembles, summoned by a shady crime syndicate fronted by the enigmatic Deirdre (Natascha McElhone, The Devil’s Own). Their mission: to steal a heavily guarded briefcase from armed mobsters, its contents undisclosed. But what begins as a routine heist soon spirals into chaos, with the group beset by a series of double-crosses and constantly shifting allegiances, and it falls to world-weary former CIA strategist Sam (De Niro) and laconic Frenchman Vincent (Reno) to hold the mission together. Lucio Fulci may be better known for his later horror movies, but arguably his finest work is his 1972 thriller Don't Torture a Duckling, a damning indictment of rural attitudes and the Catholic Church. Available August 14th. Special features include a commentary by author Troy Howarth, a video discussion with author Mikel J. Koven, and a new video essay by critic Kat Ellinger. Previously a victim of the dreaded pan and scan, overlooked '80s slasher The Slayer gets a 4K restoration on August 21st. Special features include new interviews with cast and crew. Two young couples set off to a secluded island for what promises to be a restful retreat. But the peace is short-lived: as a storm batters the island, troubled artist Kay begins to sense that a malevolent presence is here with them, stalking them at every turn. Is she losing her mind, or are her childhood nightmares of a demonic assailant coming to terrifying life? 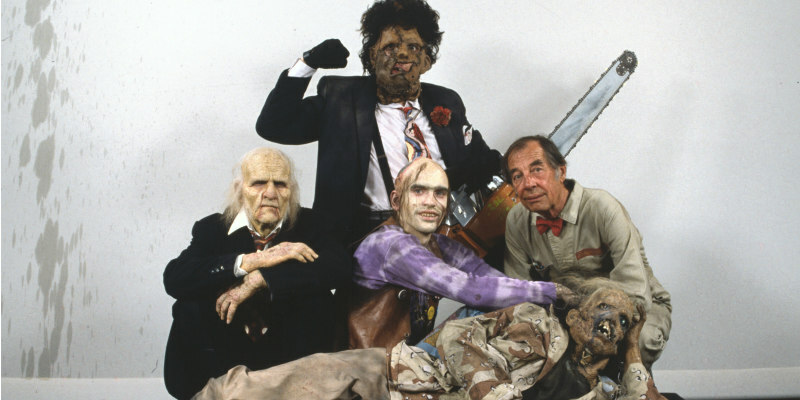 Tobe Hooper waited 12 years to give us a sequel to his 1974 masterpiece, and surprisingly delivered a blackly comic caper with The Texas Chainsaw Massacre 2. Arrow bring it to blu-ray August 21st. Special features include commentaries with Hooper, SFX guru Tom Savini and star Caroline Williams, a six-part documentary and an alternate opening sequence. 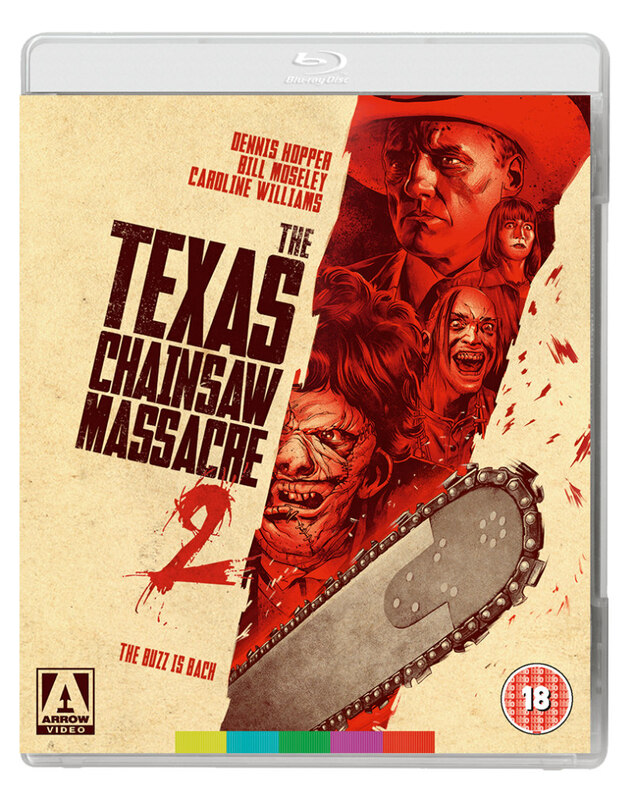 Relocating the cannibalistic Sawyer clan to a cavernous, labyrinthian dwelling beneath an amusement park, Hooper’s deliciously demented sequel sees Leatherface and Co. continue their murderous exploits afresh. This time around, local DJ Stretch runs afoul of the Sawyers when she gets mixed up in the brutal slaying of two youngsters. Meanwhile, Lieutenant ‘Lefty’ Enright, is hell- bent on avenging the murder of his nephew Franklin, who perished in the original massacre. Before becoming the king of giallo, Mario Bava worked in the peplum genre. 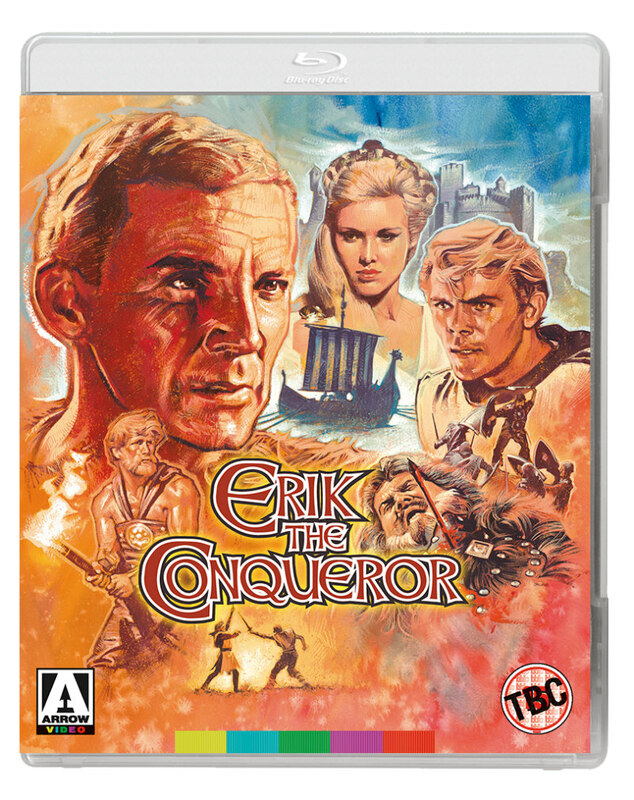 His 1961 viking epic Erik the Conqueror comes to blu-ray August 28th. Special features include a commentary by Bava expert Tim Lucas, the film's original ending, and a comparison between Bava's film and 1958’s Kirk Douglas vehicle The Vikings.